I recently moved to a new apartment with my cat and as we had been used to living in a house previously with a garden, we could both look out over the plants and greenery (well it used to be weeds but they were green). Therefore, I wanted to get some good cat friendly houseplants as a) plants help sweeten the air and b) it was nice to have something green and alive in the apartment. So I knew that quite a few houseplants are toxic to cats – and reading about the effects of some of them was quite worrying. Some are toxic via being eaten but others were also an irritant if the cat rubbed against it or get sap on its’ skin. Some were very nasty indeed. I therefore wanted to focus on those plants that I found in my searches that were safe. First up though whilst the houseplant might be safe for your cat – there is no guarantee that your cat is safe for your houseplant – they do like to chew and you might find that the leaves are chewed or your cat climbs it. Here, therefore, are 10 cat friendly houseplants which are non-toxic for your cat. 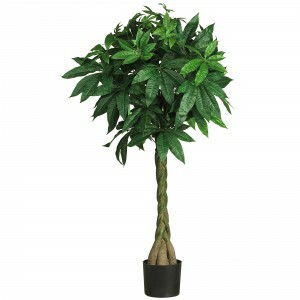 I must admit this is the plant that I did get though my cat has chewed some of its leaves. Also known as the Golden Butterfly palm or Yellow palm, it is non-toxic to both cats and also dogs. 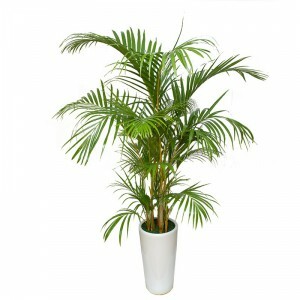 It is a beautiful structural palm with frond like leaves and can reach a good height. Mine sits on the floor – and accordingly it is one of the easiest plants to keep (which is good because I do not have green fingers). Otherwise known as Pachira aquatica, this is a very graceful tree that you will usually find with a plaited stem and then the leaves on just the top section. This was my second choice for our new home. Another plant that is also quite hard to kill – again useful if your cat likes to play with the plant or you forget to water it. You will often find people take these plants into offices as well to sit on their desks as they just need moderate light. 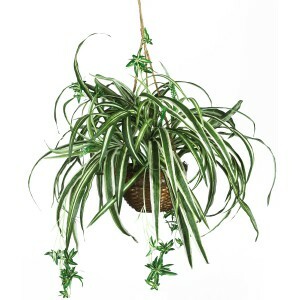 They do spread out quite a bit though and you can use them as a hanging plant. I was actually surprised at this one as I thought that this pretty purple flowering plant must be poisonous. But it is actually non toxic to both cats and dogs. 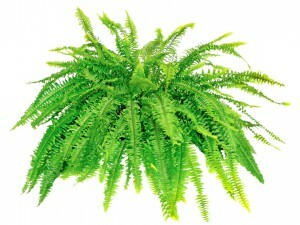 It is actually a nice small plant as well which would probably work quite well on a windowsill. 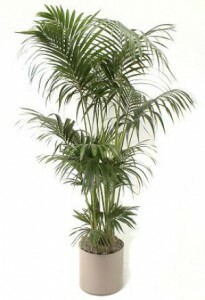 Also known as Howea forsteriana, Kentia palms are non toxic to cats and dogs. It looks a bit like the Areca palm but it is bigger and the width of the fonds is much larger. Again it is a lovely looking structural plant and is slow growing. A lot of ferns are highly toxic and carcinogenic. The Boston fern though is safe for your cat. One thing with ferns though is that they often look alike so please check labels carefully before purchase to make sure that you actually have a Boston fern. 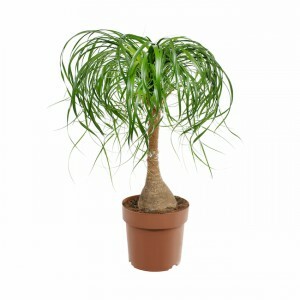 This one does need more looking after than some of the other plants with regular watering though it is useful for a houseplant as it does not require direct sun. 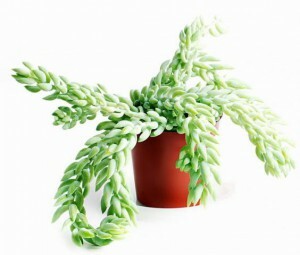 Also known by the following names – Horse’s Tail, Donkey’s Tail or Lamb’s Tail. This is a little succulent plant which does great on a windowsill and is again difficult to kill if you forget to water it once or twice. Again it is non toxic to cats and dogs. 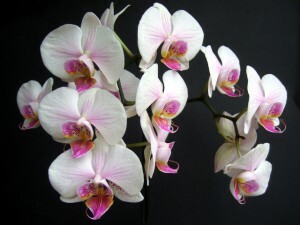 This Phalaenopsis orchid is also known as the Moon Orchid. 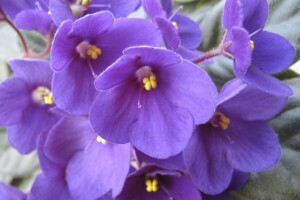 Another pawsome plant that is safe for your feline friend and it is pretty too. 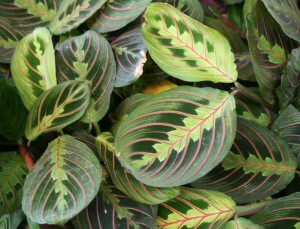 Or Maranta. This is an unusual looking structural plant that has leaves in different shades of green and with red veining. It is non-toxic to cats and dogs. 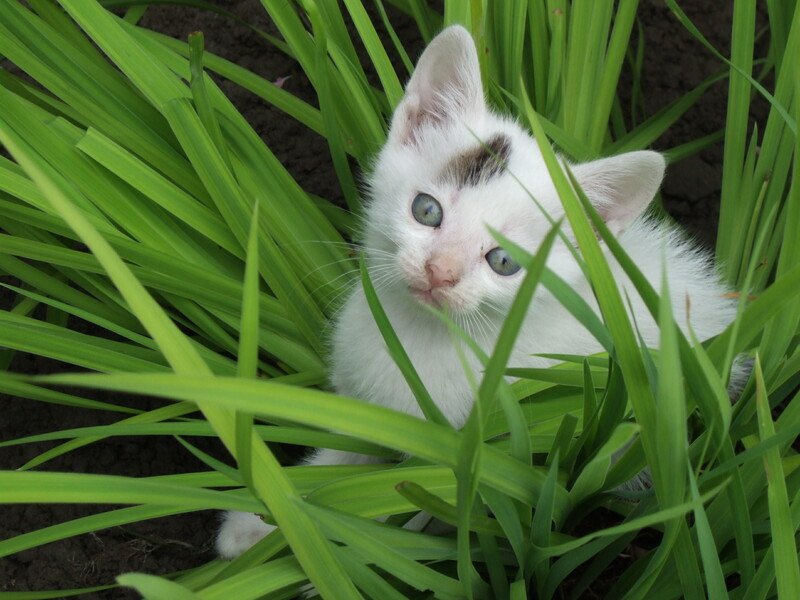 Remember thought that even though these plants are non toxic to your cat it is still not a good idea to let kitty chow down on them as this can result in an upset stomach. There are quite a few cat friendly houseplants available. The list above is just a small selection. Though be aware that your cat might not be completely safe for your houseplants – especially if they enjoy climbing in the branches, sleeping in the plant pot, digging the earth or chewing the leaves. You can also think about artificial plants though you do not get the benefit of them freshening the air and they do get dusty. Do you have any other plants that you know are non-toxic that you can add to this list? If so drop us a comment below.